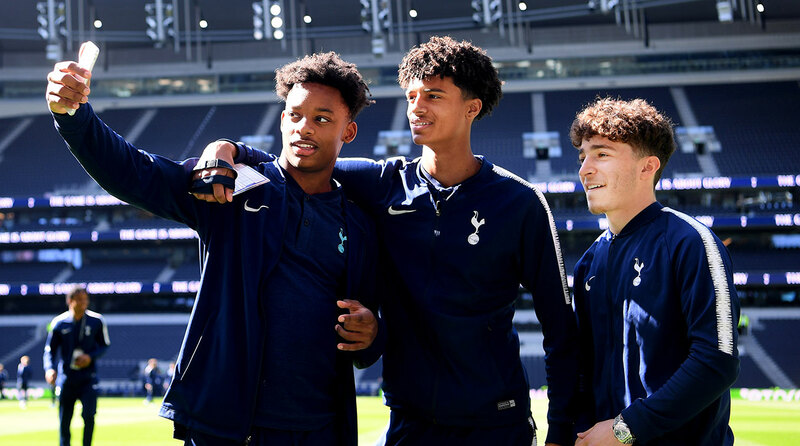 Ahead of its official opening on April 3, Tottenham Hotspur's brand new 62,000-seat stadium opened its doors on Sunday as it hosted the first of two test events. Spurs U-18, which includes Mauricio Pochettino's son Maurizio, welcomed Southampton. A club legends match against Inter Milan is the second fixture, taking part next Saturday. "It's going to be absolutely brilliant for these young players to be able to come here to see this and have the honour and privilege of being the first players to play here. It's indescribable really," said John McDermott, head of coaching and player development. "It's a fantastic opportunity for some of the boys to play on the biggest stage of their lives." The new stadium looks spectacular, and features six big screens (four inside), free Wi-Fi and an area holding more than 150 supporters’ clubs, with scarves from all over the world. Something yet to be completed is the Sky Walk - a glass walkway above the pitch, with views of London. Once the game kicked off, there were more celebrations as J’Neil Bennett scored the first ever competitive goal at the stadium. After Oliver Skipp provided the pass, the 17-year-old finished it with a fantastic curling effort in the bottom right corner. Spurs ended up winning the game 3-1 in front of nearly 30,000 fans. The £1 billion project aims to become the premium ground to host other events such as concerts and NFL games.